Refer your friends and family to help spread the reach of Findster in your area, and get a $10 discount on your pledge for every referral that makes a pledge on a perk $89 or more. Refer nine friends and get yours Free, use this link http://igg.me/at/findster/x/6977583 to pledge now and you will receive a link of your own after you make your pledge! Due to many requests, we are starting this follow-up campaign. The purpose of this campaign is to give many of you who missed out on the first one the chance to hop in, and to give original backers a way to add funds for shipping or choose additional perks. You can find our great successful campaign here, more than 700 backers supported us! Findster is a project that I find hard to believe hasn't surpassed its goal yet. 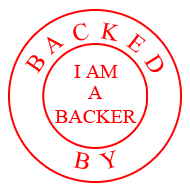 There are a lot of projects out on various crowdfunding sites and it is hard to get noticed, I do understand, however this is an amazing product. Findster is a bluetooth location tag on steroids! Ok it isn't quite the bluetooth location tag, with Findster you can keep an eye on your children and pets even when you're relaxing. Perfect for the beach( not in the water) out at a park, camping, etc. All you need is the basic package, for $89 you will receive one guardian module and one child module and charger all you need now is the app on your phone and you're set. With Findsters easy to use app you can set up a virtual fence and get updates on your children or pets. For added safety when you're not home pledge for the perk that includes the base station and expand your reach around your house, know where your children or pets are within a 2km 1.24mile range. Refer your friends and family to help spread the reach of Findster in your area, and get a $10 discount on your pledge for every referral that makes a pledge on a perk $89 or more. Refer nine friends and get yours Free!, use this link http://igg.me/at/findster2/x/6977583 to pledge now and you will receive a link of your own after you make your pledge! Together we can create a wide protection zone and the reach for Findster. If you decide to back them, please use this link; http://igg.me/at/findster2/x/6977583 and leave a comment on their campaigns comment page that you found their project through IamABacker.com , Thank you. Let’s give an example: buy one Early Adopter’s Findster Pets for $89. Then, refer as many people as you want by sharing your pledge and your unique URL. For each person that buys one Findster through your share, we will credit you $10. So, if you have 9 referrals, you'll get all your money back. That easy - at the end of the campaign, on July 21th, we will refund you based on the number of your referrals. Help us reach our goals. Spread the word and win with it! There's one fear that everyone can relate to: the panic of losing a loved one. Chills, stomach-churning, racing heart, sweat and heavy breathing… Can you imagine not knowing where your child is? Or your pet? You don't have to. Not ever again. Thanks to Findster, you are always connected to the ones you love. Findster tracks your loved one's activity and location, keeping you informed on their health and safety. Findster is a new and innovative GPS tracking system working towards the safety of your loved ones, finding them whenever you want to. Compared to other systems on the market, Findster is free of charge. There are no monthly fees! That's what makes us your best choice. There are two primary devices, one for you and one for your loved one. They are wirelessly connected to each other, and all you need to make them work is the Findster's App on your smartphone. You can follow their moves in your pre-selected area and you receive alerts whenever they leave that space. With Findster you can also see how much time your child takes getting from home to school, or from school to a friend's house. To increase the ubiquity and range of Findster, there is a third device to the system, a base station that can be placed in strategic points, expanding your connection area and protecting who you care about even when you're not home. Imagine your workplace is far from your residence. As long as you have a base station at home, you can continuously track your child or your pet in your neighborhood. Being away from home doesn't mean you can't be connected to those dearest to you. And if your neighborhood joins Findster by getting additional base stations, the protection zone becomes even bigger. These base stations can also be placed in schools and playgrounds to increase the area of protection. The larger the Findster’s web, the more omnipresent you become. We want to ensure your comfort. Imagine a sunny day, reading a book in the park—but you can't take your eyes off your child. Now you can. Findster has a fall detection alert. If your child stumbles and falls, Findster will let you know. Has he been resting or trying to eat your furniture? Findster has an activity tracker option that allows you to know its activity levels during the day. Make sure you are everywhere. Support Findster now and be one of the first to have it, at a very (very) limited special price. Once you get it, you can use it forever WITHOUT MONTHLY FEES! A short term step for a long term peace of mind. Portable charger, Parent/Guardian module, Child or Pet module, Basestation and smartphone App (Android and iOS). The Child or Pet module was designed specifically to be comfortable when applied yet secure. This module includes a high-precision GPS system and a 3-axis accelerometer that enables the detection of whether the child fell or, in the pet’s case, what his activity index was throughout the day. One of the Findster secrets is in its innovative wireless communication system, used to establish communication between the pet/child module and its guardian/parent module (or the pet/child module and the Base Station). Our proprietary wireless protocol allows you to obtain communication range of 0.62 miles (1 km) between both modules, thereby eliminating the need to send the coordinates through a cellular connection. In this way, we have removed the required monthly fees that are intrinsic to other GPS tracking systems on the market. The Parent/Guardian module serves as a gateway between your smartphone and the Child or Pet module, enabling a long-range bi-directional communication between both. All the controls and displays of data are centralised in the Findster App. The third element of the Findster ecosystem is the basestation. The basestation can be placed, for example, in your home, powering a communication range of 1.24 miles (​​2 km). The basestation wireless communication uses the same proprietary protocol of the child/pet module. However, because it has no restrictions in terms of battery consumption or size, we were able to design a system with a range 2x greater than the wearable module. And because each basestation has a wi-fi connection, even if the child or pet leaves your home’s security zone, when approaching another basestation it is automatically re-connected with your smartphone through the Cloud—always guaranteeing your privacy. Only you and those who you have authorised can have access to data modules. When the Child or Pet leaves the defined security zone, the application sends an immediate alert. If they are in the coverage radius of the Parent/Guardian module, the module’s location continues to be monitored. When the connectivity between the two modules is lost, the last detected position is saved. If this happens, the Findster ecosystem activates the alert mode and all other modules start searching for the lost Child or Pet. When they find it, they send its current location through the cloud to the Parent/Guardian’s smartphone App. Furthermore, a module defined as lost will always look for a link to a basestation with an internet connection. When getting this connection, it will send its current position to your smartphone and other people authorized to access the module’s location. Findster represents the next generation of GPS tracking systems, allowing a solution that combines the ubiquity of use without the need for monthly fees. We have been working hard, and Findster is finally a fully functional prototype. Now we need your help to guarantee its mass production. We’re at the starting line, ready to begin. Support us and be the first to get one. Join our project and share it with your family and friends. Together we can go even further and take Findster to the next step. We don’t solve problems. We prevent them. And we have a proven track record in this. We are a multidisciplinary team with years of experience in engineering, design and physics. We came together with the sole purpose of creating and developing technologies that will improve your quality of life. Our goal is to bring security and peace of mind to everyone. Findster is our way of doing it. Like any innovative project, the development of Findster presents some risks and several challenges. Over the past few months, the whole team has worked to ensure that none of the risks and challenges prevent us from a timely delivery of the system with the quality that our supporters deserve. We worked with our supply chain to ensure that production will take place as scheduled. We have a fully functional prototype and we are currently working on the final version of the system. The Findster team has developed other innovative technologies that combine software with hardware. We have the manufacturing flow line prepared, as well as the protocols for testing and validation of various critical components of our system. We are absolutely sure that – with your support – Findsters will become a reality in time and with the quality you deserve. Your method of explaining the whole thing in this post is in fact pleasant. thanks for sharing this post. We have a range of Personal GPS Trackers systems available to help you track a vulnerable loved one, a pet etc. Get a look at this blog if you wish to explore some articles on related thematic. GPS is a great help during natural disasters. GPS helps survey disaster areas by mapping the movement of environmental phenomena like forest fires, oil spills and storms. That is a nice article where you have shared the details about the gps tracker for pet and kids of different range of price, It will helpful for us to choose best one. Get the best offers of great range of child tracker at competitive price. Distinctive reasons make it basic for customers to get to a strong Sling television Customer Service Helpline while going up against an issue with Sling television account. Can stomach pain and back CBD oil for back pain be related? The answer is it depends. Recently a friend contacted me about having both stomach and back pain. Because of my own experience he was asking for my advice. The first bit of advice I gave him was that stomach and back pain could be serious and to call his doctor immediately. If your HP printer isn’t functioning properly, you are unable to find a solution to it. Contacting HP customer support professionals is the most ideal way to solve the printer issue. To reach the customer care you can contact the HP Printer Technical Support via call at 1844-881-6626. The experts would solve your concern in the quickest way possible.